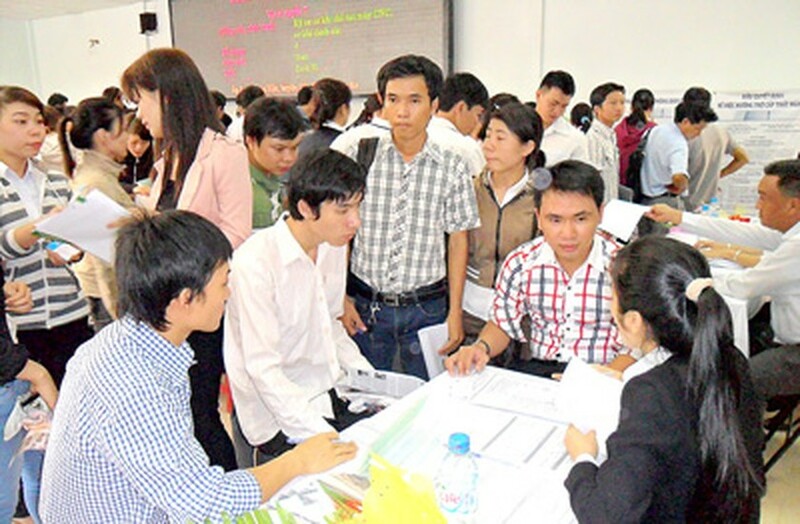 Nearly 1,000 people have found employment at the first Job Exchange Floor organized this year on March 5 in Ho Chi Minh City. The Job Exchange Floor attracted 79 businesses with demand for 5,500 workers. Of these, 56 companies recruited online via websites www.vieclamvietnam.gov.vn and www.vieclamhcm.net. Businesses mainly recruited in fields like sales, security guards, customer care, mechanics, information technology, electronics, telecommunication, goods delivery, accounting, protocol, interpretation, management, driving and unskilled labor. By 5pm of the same day, the floor saw 2,762 jobseekers with 1,693 being interviewed. Of them, 569 people met job requirements, while 414 others found jobs online.